After building hackintosh machines using different modified OS X installers, the hackintosh community has come a long way and is within grasp of achieving the holy grail of running Mac OS X on PCs—installing the original, unmodified OS X DVDs created by Apple for Macs on ordinary IBM compatible personal computers. Well, almost. While we can now use a retail Mac OS X DVD to turn our PC into a hackintosh, we still need a bootloader to get it to recognize and install OS X the first time. The good news is, after a successful installation, we can now install any updates from Apple without breaking our system or reinstall the operating system without having to add the same kexts (drivers) that we already have that makes our non-Mac standard hardware peripherals work. A PC with Intel Core Processors and Chipset (AMD is not yet supported). A Blank CD (for Boot-132). A retail Mac OS X DVD Installer (not an Upgrade OS X DVD). Download the Leopard 10.5.4 ComboUpdate here. 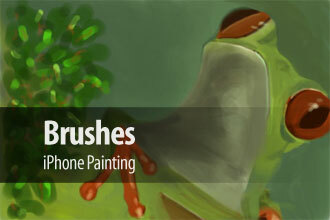 Download the Chameleon for Hard Disk here. Download the Boot-132 Generic ISO here (generic.iso). Burn the Boot-132 Generic ISO on a CD. This BootCD should work fine for most hardware configurations; after which, it should be able to install the retail OS X DVD. If this doesn’t work for you, you may need to modify the contents and add the necessary kexts for your hardware. More info here. 1. Insert your BootCD and boot/start your PC. 2. On the boot prompt, press Enter. You will be asked to enter a two-digit hexadecimal boot device (do not enter anything yet). 3. Remove the BootCD and replace it with the Mac OS X Retail DVD. Wait for the blinking light on your DVD drive to stop and then hit Enter (this will read your DVD drive and not your HD). Hint: If you keep going back to the bootloader, it only means you don’t have the correct Retail Mac OS X DVD Installer. The best solution is to buy one. 4. 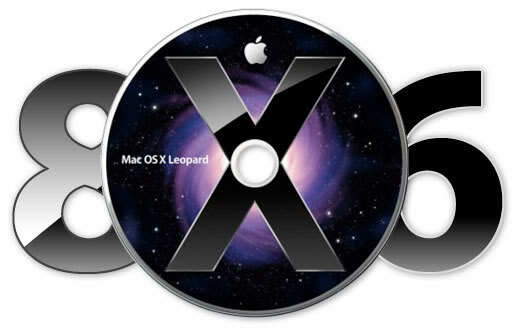 Perform the Mac OS X Leopard installation. You may need to use Disk Utility (under the Utilities Menu) to partition and format your HD if you haven’t already. Make sure to select GUID (under Options). 5. Restart after the installation and replace the Retail Mac OS X DVD with the BootCD. 6. On the boot prompt, press Enter. This time, enter the two-digit hexadecimal of the drive where you installed OS X. Enter 80; if it doesn’t show the startup volume of your OS X, hit Esc. Try 81, and so on until you see your OS X volume. Select it and hit Enter. 7. You should now be in Leopard. 1. Install the 10.5.4 ComboUpdate. 2. Reboot with the BootCD and enter the same two-digit hex you entered before. Select your startup volume and type -v -f (you don’t have to enter these the next time), and press Enter. 3. At this point, you still won’t be able to boot your hackintosh without the BootCD. 2. Copy the contents of the Extra directory from the Generic.iso CD by dragging it to the Extra Contents folder in Chameleon. Open the Generic.iso CD from your desktop. Double-click on the INITRD.IMG file. Double-click on the Extra folder. 3. Double-click the Chameleon_DFE_for_Hard_Disk.pkg file and install to your hard disk. 4. Remove the BootCD and reboot. 5. You should now be able to boot into Leopard without the BootCD. After upgrading to 10.5.4, some of your hardware peripherals (i.e. video, network card, audio, etc.) may no longer work. Even the kexts that worked for my previous modified OS X installations don’t work with the latest version so I had to scour the net for a fix. Depending on what you have installed on your PC, you may need different solutions. Below are the fixes I applied for my own peripherals. Taken from the IONetworkingFamily.kext included in the GA-965P-DS3_ISO bootcd. Taken from the AppleAzaliaAudio.kext included in the Generic.iso BootCD. Replace your AppleACPIPlatform.kext with this. Hint: To easily install kexts, you may want to use the OSX86 Tools. Read more about the OSX86 Tool here. You can also use the EFI Studio to try adding EFI Strings to your Boot.plist in case you have problems with video or audio kexts. Read more about EFI here. This one gave me the biggest headache. The video kexts or injectors (Nvinject, NvInstaller) that worked for me in the past, no longer works after upgrading to 10.5.4. I tried many versions and none worked. I tried adding device strings to com.apple.Boot.plist using EFIStudio and deleting all video injectors in Extensions and still a no go. I tried to manually edit the kexts by entering my device ID, etc., and still no QE/CI support. Finally, I found out that the Generic.iso BootCD has Nvkush.kext in it and by installing Chameleon, it aslo installed it to my hard drive. So I just deleted it from the /Extra/Extensions folder and made sure I had my video device string in the com.apple.Boot.plist using EFIStudio, reboot and voila! Now you have a Hackintosh that is as close to a real Mac in terms of the underlying software program. You can safely use Software Update to install updates directly from Apple to your PC. Now, go ahead and make money with your “Mac” with the Mac Marketer’s Directory–the ultimate resource guide dedicated to Internet marketing using your “Mac”! Like many others, thanks for a great tutorial. I am not sure whether your tut instruction of "Shutdown fix" actually will solve my problem - not so sure and don't want to mess up a working install. My motherboard is set to powerup after power interruptions but then the machine gets stuck waiting for me to press Enter to boot up (at the boot prompt where before step 4 you had to enter 80 and then enter). How do I get my machine to default to 80 and go past the prompt? Is there a startup script or something? Thank you for such an excellent guide, I have spent the last month looking for guides and this is by far the most simple. The guides seem intent on excluding anyone who isnt comprehensively familiar with the terms tec so thank you! For some reason i cant get past the white screen with the apple. I get a gray circle with a line through it. Using a toshiba tecra m3 laptop, could that be the prob? I have Dell Vostro 1700 with Intel Mobile Core 2 Duo T7250 processor. I have tried 10.5.5 several time with no success. Installation work fine but after installation when I am botting to Mac, I get an error 'You must restart you computer' Can you please help? Help! So i got osx running on my Acer aspire one, but somehow it set an administrator name and password so now i cannot make any changes, when i try to start up from macosx it asks for my password again, any help is greatly appreciated! does this method works with snow leo? The boot CD works and i insert the MAX OS X DVD and wait for the light to stop but when i press enter it says "loading darwin" Than the screen goes black. Help please? having issues on my custom PC (so i'm not sure what the hardware is since I inherited the system). The modified kabyl-bumby ISO actually loaded for me when the generic.iso did not. The bootloader (kabyl-bumby) loads, i press enter. it asks to me type in the 2 digits. i put the OSX retail dvd in, press enter (still at the "enter 2 digits" screen), it then tells me to "press enter to start up Darwin/x86..." so I press enter, it then asks me to enter 2 digits, I press enter, it then says "using default 90, press any key to start up from the cd, so then if i had made sure to use the "-v" switch, then it runs through a short list of "loading xxxx..." and then it stops. it never goes anywhere else. does it works in Motherboard Intel DG41TY ? after bootCD i insert my mac os x dvd and then appears apple logo, after that i select language and then it says "max os x cannot be installed in this computer". PLEASE help i'm new on this so i don't know what to do. my latpot is HP dv6597 with intel core 2 duo 2.00ghz. and i have max os x 10.5.6 install dvd. Hi. I downloaded successfully the Boot-132 Generic ISO by following the link. On your instructions you mentioned "burn the Boot132", does this mean i have to burn all the files included on the it or simply the "generic.iso"? I've burned the generic.iso only (not including the other files) and followed your procedures but after inserting the original OS X Leopard DVD nothing happened with no activity at all. Not even booting. Please advise. Thank a lot. If I understand it right, the iso file is an image of a disc. Using a utility like Nero, you can burn that image onto a disc. Since the disc that was originally imaged into an iso file was a bootable disc, the the disc you create from this iso file will be a bootable disc. Yes, this is the same problem I'm having. I'm sorry for the bad english, I'm from colombia. I want to know, if I can do this with the snow leopard dvd retail or just I can do it with leopard. or I have to Install leopard for first and then udgrape to snow. what is # A retail Mac OS X DVD Installer (not an Upgrade OS X DVD). Is it kinda same for a Snow leopard menoob ? Nevermind, i used the Lenovo Thinkpad kextst iso and it started up. im going to install now and ill post again if i have probs. I have a Dell 1520 laptop, that I am trying to dual boot with windows 7, and I have followed the instructions above to install the Mac OS. my realtek hd audio 3.5 mm jack is not recognized please help!!! it says no output devices found in sound preferences. I tried installing all audio kexts available but i couldn't find a realtek hd. I followed the directions here, After the grey Apple screen I get to the starry sky, but the I just sit with the spinning wheel. This is similar to the same thing Abhijeet was experiencing about a year ago, but never saw any real suggestions. Someone on another board recommended using a different Distro than 10.5, but not sure where I get it. Can anyone help? Actually the boot process goes pretty fine, then i see a the setup background but the rainbow wheel keeps spinning and spinning forever with no activity either from CPU or Hard disk, what should I do? help! I use iATKOS 10.5.5 on an Intel Chipset. By the way, MAC OS runs ok as a native installation... but with vmware i couldn't do it yet! hello there.....MY KEYS AND MOUSE PAD WORKS. I just checked in a safe boot and there is no problem with with my graphic card.....which is very weird! Safe boot is ok, but with normal boot freak windows. I have got an acer aspire 8930g and i booted upwith BOOT123 iso and then Mac OSX Retail DVD and it get to the apple logo screen and then freezes with the 'banned' symbol on top, how do i fix it and get it working? Great Tutorial & Forum - just wanted to put this hardware profile out there - Vostro 220s - 2.8 GHz Core 2 with Intel G45 chipset and asus ati 3450 pcie w/ hdmi - The generic Boot 123 worked fine but you must turn off in advanced bios all the settings first. The OSX install & update to 10.5.4 went smoothly and Chameleon worked as advertised. Since I'm using this hackintosh mainly for downloading and video file conversions, I see no gain in trying 10.5.8. Voodoo HDA restored sound, toast 10 works for making disk images. Tried all kinds of things in the com.apple.Boot.plist header but still have to enter at boot : "graphics mode"="1280x1024x32"
My Mobo is ASUS P5Q Pro, Mac Retail 10.5.6 installed, update to 10.5.7 but quartz extreme not supported. Any suggestion? is this procedure applicable if i use 10.5.6 DVD? menoob, what type of motherboard did you have when doing this install???? My experience with asus motherboard, in spanish. I also have installed the 10.5.4 (and upgraded to 10.5.7) using my Lenovo T60 Thinkpad. Yes, it's a Core Duo, 2CPU, T5600 Running @ 1.83 Ghz. I feel no difference in performance at all. I use my hack-intosh mainly for development in Xcode as the other one i have it also used by my partner for development and when one is using the simulator, the other cannot use it, so I decided to give a try on the Thinkpad I use for "other" work. No regrets here. One of the key points in getting things started is to have the right set of "drivers" built into the boot132 cd. I was fortunate enough to find the right set at ( http://www.insanelymac.com/forum/index.php?show... ) where MACinized made a collection of boot132 custom for certain systems. Scroll through the limited list.. you may be lucky enough to find what you need there. For folks who are having reboots, that is a clear sign that one (or some of ) the kexts are wrong for your hardware. kexts (kernel extensions) are like device drivers. If the install tries to load one of them and it's wrong for your hardware, things will go bad, being reboots, the most common symptom. This is a though situation for a novice on the realm of hackintoshes, but it's not impossible to solve. Read the link above which has links to other posts. Sorry but I cannot help for specific kexts for your hardware. If you have nothing to start with, the best thing to do is to fetch the hardware that matches one of thost boot132. I am considering to build my own Hackintosh. But before I jump into this project, I was wondering if the newer Core 2 Duo and motherboards are compatible with this tutorial. I noticed that the processor and mobo you used is no longer sold by Newegg. Any help would be great, thanks! P.S. : What do you mainly use your Hackintosh for? How's the performance comapred to your MacBook Pro? I have followed the instructions, but when I insert my generic.iso disc, I get the error "ISOLINUX 3.63. 2008-04-10 isolinux: Image checksum error, sorry... Boot failed: press a key to retry..."
Ok, I'm stuck on the end of step 3. I do what it says and then I get stuck on the boot screen with the grey apple logo and a "no entry" symbol right above it. I'm at a loss, I've tried some of the things people have posted about hitting F8 and then entering "rd=disk0" or something similar, but nothing even happens when I hit F8. I'm doing this on a Compaq Presario C500 laptop. Any help would be much appreciated. Alex please give me more details of it, I'm also gonna build a hackintosh using my HP 6530s notebook, I tried with MAC OS 10.5.7, but I couldn't. please tell me how you made it success ?????? Thanks for this startup I was able to totally install the 10.5.4 family pack on a Lenovo Thinkpad T60. The whole thing went without the slightest hiccup ! Wonderful. Took about 1 hour to full install. I immediatelly upgraded to 10.5.7. Finally, I have installed the Xcode 3.0 SDK, which also went wonderful ! I just need to work on the "2 partitions" setup so it can boot straight from the hard drive without having to keep the boot132 on the CD rom, but other that, very good !!! It maybe that mac install cannot find the hard disk. because i want to work with iPhone SDK 3.0. it only support with 10.5.7. So is there any way to proceed. I had my first attempt today but it failed. I had 2 DVD ROMs actually. One of the is Asus and the other one is Samsung. For booting with Asus DVD drive, I can only go as far as I need to restart the even when the white screen appears. As for booting up with Samsung DVD Drive, I keep getting timeout errors. I'm not very sure why both DVD drive respond differently but I'll keep trying again. It may be also that it's a nForce chipset that cause the problem. Please advice on what could go wrong. When i boot the dvd in verbose mode it loads for a long time and then goes to a blank screen and nothing responds. I have tried everything possible. Dell Dimension 3000 2.8GHZ p4. Hi, thanks for tutorial man. Now for the not so fun part. Can anyone tell me what could be going wrong on my install. I have original retail DVD of OSX and use BOOT-KABYL-BUMBY.iso with it. I can boot up, get the white apple screen and when I get to the screen with like purple light and stars (I guess it's desktop picture of OSX) it just shows the mouse cursor as a colorfull circle, and it keeps spining for hours withouth going further into install(I let it run for hour and a half, just keeps spining). So I don't come to all the install optios of OSX, I'm just stuck on that screen. Can anyone help me please with what could be going wrong and how to get further with the install? u cannot install from retail dvd directly. After struggling with MAC installation for several days, I finally found a blog. I believe to help all of u guys who are stuck somewhere or the other. Menoob, great work, I have been looking for a noob guide like this for a while, the simple step of changing the disk when you said got me to the grey apple logo screen. oh i have the original 10.5 retail and i tried your generic.iso and also the boot BOOT-KABYL-BUMBY.iso also. Dude, I'm using your how-to as a basis for my supermicro X7DAL-E board with dual 5345 cpu's, 8GB and dual monitors on a 7300gt. Except for the ALC650 sound on the board, it all works like a charm. Using an edirol usb ua1x with optical outs instead of the onboard sound. No problems whatsoever. Great work! However, In Vista I have shrunk a partition on the vista disk (tried no format and NTFS and without drive letters). I have installed EasyBCD to select in Vista what OS to choose. I use Grub to boot and insert retail disk and all loads fine I select disk utility to reformat partition, click erase but when I quit Disk Utility the install then says you cannot install on this disk. What am I doing wrong, is this the right format? or do I have to reformat the whole hard disk drive to install OS X. I want to keep Vista as main system (its preinstalled and don't have a copy). I used GParted to reselect the boot volume. What is the partition preparation required to dual boot? Any suggestions would be grateful! Hi Menoob, thanks very much for this. For those that get Kernel Panics using Boot-132 on booting the Leopard DVD try grub-dfe.iso (google it). Follow the instructions above exactly but replace anything relating to Boot-132 with your grub-dfe disk. Mine works great Asus p5kpl-cm, for audio use voodooHDA.kext, first delete >System>Library>AppleHDA.kext> then install using kext helper b7. Everything else works great, thank you! Hey menoob great information and site. I got a question about the retail install. Can you install Leo as a RAID setup using the retail install method. Hey, thanks for the info. However when it comes to boot from the Appe OSX CD I get the Apple Logo with the spinning indicator that its loading. Then 15secs later I get the no entry symbol and nothing happens. I tried a different retail disk and got a restart your computer message instead. Any ideas? Im using an intel based dell with ATI graphics card. I'm having the same problem... Either one of you figure it out? Hey nick did you ever figure your issue out. I am frozen at the great apple screen. Hello and thank you for this guides! I recently installed leo4all v4.1 with success. Everything works fine and is not my first time successful installation using leo4all or iDeneb distributions. However now I face the following issue and I don't seem to find the root of the problem or any help on internet. When I boot to the OSX, the my screen goes black for @2-3 minutes (goes in sleep mode) and after that the desktop appears in his glory and everything seem to work well. Now this is so frustrating because I am so close to have an 100% fully working hackintosh.. Can you please help me in this?! boot*132 let me boot the macosx retail dvd but before dtarting the installation it wanted a reboot and i reboot with boot132 then the macosx dvd it says me the same thing . I'm on a dead end. How can i overcome this? I was following your tutorial trying to install Mac OS X Leopard on my Sony Vaio laptop VGN-S270B. ONCE I LOAD THE MAC OS X I get the apple grey screen and the computer just stays there no spinning circle etc. Any solutions? Any help will be appreciated. I was wondering if anyone knows where I could find Boot-132 Generic ISO. Both the links at the top dont work. any one can give some advice....pretty pleasee! 2x 320 GB HDD S-ATA2( one for MAc, one for Windows) the Macos one on Sata0 on board. Any one, any idea? can help me to get this working? any suggest? AppleACPIPlatform.kext cant find this file any update would be great. Also is there a way to get it boot right into OS X? I still need to select my HD. Lastly great guide. Thanks for the guide. Helped me a lot in my own setup. Thanks for the guide. Clear step-by-step noob guides are unfortunately rare in the hackintosh community. I am up and running OS X 10.5.6 Leopard on my Dell Inspiron 530. If someone could help me out that would be great. These are my only two problems other wise it works great. 1. Restart/Reboot Fix: Replace your AppleACPIPlatform.kext with this. Were can I find the missing parts for this ?????? 2. Shutdown Fix: Download and install this. 3. Also in the BIOS setting how can get the prompt to boot into either hard drive for XP or MAC ? Info on how to set this up ?????????????? 1- is this still the best way to do it? 2- i tried kalyway and it didn't really work out, do i have a better success rate with this? 3- Does this method support more peripherals right of the bat, unlike the other ways? I was wondering if you assist me a little bit with installation. I have a p4 dual core 2.25 ghz intel on an Intel mobo. 712 Ram and a Rdeon 9200 Graphics card. When I use the generic.iso bootloader it seems to work fine, then when it asks for the binary code I eject the generic.iso and put in the retail 10.5.4 OSX DVD and hit enter. Then it starts reading the disk and says ebios read error 16432736 and says pausing for 5 seconds. It goes to the white screen with the apple logo on it and just freezes there. I've been trying to get this work for a few days now. . . I don't know what's causing this. . .
hi i am varun, mainly the problem is mac leopard 10.5 is not installing in my 160GB SATA HDD(segate) in my pc. it's showing the error is "Root device is not found". so, pls help me. Hi, when i use the Boot132 DVD it boots my Leopard CD (10.5.0) but half way through booting it comes up grey telling me i have to restart the computer (i believe its having a kernel panic). Any way to fix this?? I am using a HP Pavilion DV2840TX. i was also having a similar problem but sorted out nw..
jst try selecting different kernel while installing... voodoo wud bst suit you as far as i knw. Can i install it on aspire 2920 and Desktop with spesifications is; Asus Mobo P5GC-MX GBL, VGA GMA 950, Lan Realtek 8111C PCIe Gigabit LAN controller, Audio HDA Azalia; ?????? I do not have the D9 dual layer DVD but have the image of the retail 10.5.6. Is there any way to install with/o DVD? I mean can use like the external USB 2.0 HDD or USB flash driver? Thanks! How to install Mac OS X 10.5.6 on these brand new pocketables? Here is a methos that worked for me on my dell xps m140. Tried yours on my tower and worked easily just thought i would add a link for others that are having probs. you can delete this is I am not suppose to link to things. Re: video & Nvkush: after you discovered nvkush hiding in your extras/extensions, did you have to do a full OSX re-install? or just re-install Chameleon and then add your video EFI string? hello there.....anybody can help me please. finally i did a installation on my sony vaio VGN FE31M, but my keyboard and mousepad doesnt work.....im using USB mouse and keys. I'd like my input keyboard and mouse work......how i woul do it? God bless you, dude !! I am still stuck on 10.4.7 because of my hardware and has been checking out so many configurations (compatibility challenge) before I make my next purchase. But this article came through a local Hackintosh group (in Jakarta) only recently and I am so hopeful to get on Leopard !! I am so book marking your site !! Thanks for sharing so much !! I have an Intel mobo D945GCLF with an SATA drive. First off I need to use BOOT-KABYL-BUMBY.iso to even get my system to boot others return a checksum error and won't boot. I'm able to get the retail OSX installed but can't seem to locate the correct drivers to make the onboard network and audio to work. Also, when I install Chameleon it seems to go through ok but when I try to reboot it never boots from the hard drive. Any help in the right direction would be appreciated. Hi...I am new to MAC world. I want to install it within Vmware workstation. Is it possible?? Any suggetions?? Help me Menoobie-Wan, you're my only hope! I really appreciate any help you can give me. I've tried Kalyway 10.5.2 / boot 132 generic iso / several boot 132 iso from Macita with 10.5.4 retail. Kalyway doesn't do anything when I try to boot off the DVD. With the boot 132, I start the computer, insert the cd, and press enter when the boot prompt shows up. block 16432736 sectors 64" repeated 5 times. It then says "Errors encountered while starting up computer"
It then goes to the gray Apple startup screen with the scrolling thing. After about 5 minutes, the screen goes to a bunch of pixelated distortion, and the computer freezes. All of the searching I've done describes errors after install, but EVERYONE seems to be able to get it to install initially. I can't even get that far! Its driving me crazy. I'm a total and complete noob to this kind of thing. I'm a lifelong Mac user, and don't even own a PC (except the one I've built for this Hackintosh). I consider myself a really smart guy, but I read all these posts about adding kexts to DVDs and its all over my head. I know you don't know me, and you don't owe me anything, but I'd really appreciate some help. Thanks! I installed retail leopard dvd with the boot132 generic CD sucessfully. leopard can bootup smoothly. Any thing wrong with my steps ? or some missing steps I was missed ? I would appreciate any suggestion on the gigabyte board. Thanks again. Fixed the problem. Had to reparation the whole disk drive to GUID. Network work right off. Audio had to install kert, now works. Upgraded to 10.5.5 almost effortlessly. Can not ReStart, added fix provide this article with no effect. Other little quirk is “More Information” button on “About My MAC” works for about 5 seconds and then termination error. Even selecting ignore works for about 5 seconds. I have tried a few different ISOs -- generic, grub, etc. When I run them, right after the initial screen of the grey apple, the apple goes away and then i see a screen that is grey with black rectangles. that can't be working right? I couldn't never get it with the retail DVD, but a gone some suped of version of Kalyway 10.5.2 and things are running great --- except sound and network! Hello menoob , nice guide, thank you. I'm having trouble with my gpu. It's an Inno3d 7200GS 256MB and if I use EFIStudio to install it I just get a blue screen. If I reboot into safe mode it starts blue, then I get to see the login window with full resolution but when I log in it turns blue again. I've tried all the other installers but none seem to work. Maybe you can point to where the problem is, thx!! but no sound man i try AppleAzaliaAudio.kext but not working. You need to find out what your audio device is and then search for the right kext. I haven't tried another way of booting directly except what I have described in the tutorial which should work well. everything works so well :) dual boot is a dream. Petty question, feel free not to answer. With EasyBCD, I can't seem to get it to boot to the Mac OS. It only lists the C Drive. When I add a mac osx86 and then choose it after a reboot, i just get an error message. I put in the generic boot CD, get to the point where I put in the leopard CD, starts to load up, get the background with the apple logo and then I get a gray screen telling me I need to boot in 3 different languages. Can't get past it. strange....other people with my same config haven't had this issue. I have already installed vista on this computer but I've unplugged that SATA hard drive and just have a new untouched 500GB SATA harddrive plugged in. Try the grub-dfe.iso instead of generic.iso. In BIOS, select AHCI for SATA interface. DVD drive should also be SATA. Use an IDE to SATA converter if you don't have one. grub-def.iso worked great! I'm working on peripherals right now. You've been a tremendous help and I wouldn't have gotten here without you. It's only now that I tried the sleep mode as I do not use my hackintosh often. Anyway, sleeping works but waking up is a problem ;-) I'll look for a solution when I have more free time. Same thing for the DVD player, I have not tried that yet. I've installed a Mac OS X 10.5.2 on my Acer Aspire 5570Z notebook, but I'm having a trouble with the display. When I have only the notebook monitor on, the display starts flickering, A LOT!!! Like it's swapping two screens in and out. When I turn the second monitor on, I get some vertical bars and a black mouse pointer. The OS works, I can run applications and everything, but it's completely unusable, because of these problems. Anyone has had this kind of problems? Is there a way to disable the screen mirror mode without having the second monitor on? What osx86 installation did you use? Looks like you need to find the correct video injector for your machine. Search for your notebook model in insanelymac forums and maybe you can find similar problems to yours and their solution. I managed to fix the problem by unplugging the external display and reinstalling MacOS without removing the previous installation. It's working fine now, thanks for your help, the only problems now are that my PS/2 mouse and keyboard and my AR5007EG wifi network card don't work. Unzip to show kext files. Backup your original kext files and use OSX86 Tools to change the original kexts to those you just downloaded. Perform a disk permission repair. I think Atheros cards have problems with Leopard. You can try a cheap USB wifi. Thanks again for your help, but I tried what you sugested and it did not work. I downloaded the kext files and used the OSX86 Tools to install it. It asked for a reboot, and when it restarted, it gave me the same error. I've tried a few things that I found on the forums, but nothing worked so far. Sorry for not being able to reply immediately. I've been busy with work lately. Just keep on looking and trying them out and try to read on the forums as it will help you better understand about hackintoshes. ya man thanks i am not sure its Upgrade or Install DVD. how to cheack its upgrade or install dvd. You have to check these things and try it yourself man. so today i went to the computer store and bought a 8800gt, because i was looking at apple store and saw that they have that as a supported video card. but i did a fresh install like you did , everything working greatly thanks for that by the way. but the QE and the other option is not working? i did add the string with the efistudio and after rebooting nothing worked. so i sitll use the disc to boot. i want to keep it that way till i get everything working. thanks alot in a adv. Try doing the Chameleon thing (it shouldn't cause problems with your machine), then perform the EFIStudio again to install your device string. Make sure to delete all other video injectors present that are not part of the original Leopard install. then i see only gray screen and mac os busy mouse point the install is freeze here. i try lots off time but not work. NOTE i try lots off commandes enter,-v -y -x, cpus=1 -x -y but not works. then why retail mac os install dvd not work on my PC. also running vista premium. i would like to dual boot with leopard. PLEASE HELP ME!! I'm not sure what boot ISO will work for your rig cause I haven't tried them all. There are so many out there. You just need to keep on looking and trying from the forums I mentioned. I'm pretty sure something will work for you. It will also help you better understand about hackintoshes. alright well thanks...if you find anything please email me...i have loiterally looked all day...thats why i have a fast reply...haha. i tried what i could but like i said i either got a frozen grey screen or blue screen...lol but thanks..
Hey! Great site, and great article. I completed everything with the following issues that I'm still trying to sort out..
Again, thanks for all of this... Very happy! I just check the link on the Restart fix and it's working. Clicking on it should download the "Latest_11_JUN_AppleACPIPlatform.kext.zip" file. Plzzz help me i try to install Mac Os from last 2 weeks. but i want to format windows xp And install mac OS On It . i try it but no answer its still stuck on install screen. I used 10.5.0 Version OS X which came on DVD with my MacBook Pro 2.2 GHz. Thanks for the suggestion, I did knew that forum and spent days for Installation on P45 chip m/b P5Q pro. I tried various modified bios and actually was able to successfully install with Kalyway 10.5.1 few times. But I still felt that system was not stable and I still had quite a few hardware issues. Only drawback I found is, this m/b only supports up to 4gb memory, I could have use up to 8 or 12gb for OS X like in P5Q Pro but we can't have it all, can we? I am really happy with stable system I built on this. Do you recall what you did to get audio working? I got the same MB, and network out of the box, but audio does not. Did you have to do some kext magic? Sorry Sophie for late reply. Please send me email and I can explain what I did to get audio working. Retail OS X Leopard DVD runs of 10 Sec then ERROR: EBOIS Device error 0x01 block 16432726 sectior 64. Any ideas whould be appreciated. If you are burning your OS X Leopard DVD, try burning it at 1x speed. It will also help if you have a good DVD such as those from Sony, Verbatim, HP, etc. Not the cheap ones. Hmm, an EBIOS error usually has to do with a problem reading the DVD. Try using another one or try it with 10.5.0. Thanks, I wonder if it is because the manual for the retail DVD says "to upgrade". Did you use a retail DVD or an orginal Install DVD? As I remember when I bought a MAC twenty years ago you had to install the software. You cannot use an "upgrade" DVD. You need the retail DVD that you can install from scratch. I see on Ebay intallation disc for sale from new MAC's, that was tthe reason for pervious question. I have installed Kalyway 10.5.1 and Leo4All 10.5.2 but can not get them to boot. Ok ignore that I was able to get the dvd to boot by typing -v -f, but I am getting stuck at the installation. It boots up fine lets me choose a language but then I get a message saying that it cannot be installed on my system. in the log the phrase "unable to determin UUID for host. Error 35." pops up a few times, and then it says installation checks failed. unable to install. Any suggestions on this? Hi there, first off, thanks for the guide, much appreciated. I am trying this method with a dell inspiron 1520 laptop. I am getting stuck at the point where you put in the dvd and wait for it to read before hitting enter, nothing is happening. The disks I have are the original Mac OS X Install Disc 1 and 2 that came with my 24" iMac. The first one is about 8gb. I have tried both and nothing happens... Even tried some of the other hex values just in case... Any suggestions? Please tell me what version of Mac OS X Retail did you use for the above installation? Yup, just like what janik29 said below, I'm also using OS X 10.5. Very stable system and no issues so far. I too would like to know your actual hardware profile which help you determine success of this procedure. I installed OS X without issue on XPS 420 but I have hard time installing OS X with newer M/B (Asus P5Q PRO + Q9450 + WD VelociRaptor + XFX 8500 GT). I was able to flash the M/B bios and install Kalyway 10.5.2 but I am again at same stage where I have to be really really careful doing any auto upgrades. Would it be reason this process did not work because it has newer version (Intel P45) chipsets? Hey Kal, I have an XPS 420 as well. Can you let me know (or send me) the Kext files you used to get everything running???? Would you mind posting the details of the actual hardware combination that you used, or that you would choose for the most trouble-free install? A newegg wish-list would be super, but any other specifics welcome. Sorry, I had my hardware specs on my other posts. Anyway, I have a more than a year old hardware that I used to build my first hackintosh, a 10.4.9 Tiger. Since it works well for me, there's no need to change it---for now. You can also check out the insanelymac.com forum where there are several threads that list working hardware for Leopard. Just do a search. once i reboot i get hit with "still waiting for root device" error ..
however if i force load all the drivers ( -f -v) then it boots into leopard and most things work fine . . which leads me to think that chameleon isnt loading an IO driver somewhere? It should be no problem at all. I have my Vista on a separate hard drive too! Excellent to hear! What method do you use for dual booting out of curiosity. If I will be using Vista more often than OS X, I will place my Vista Drive as priority in my BIOS settings. I use EasyBCD to give me the boot options where Vista is the default and OS X as second option. But if I want to use OS X more often, I will place my OS X Drive as priority in BIOS. When it boots, pressing F8 on Darwin boot loader will provide me with my MainOSX Partition (main) as default and TestOSX Partition as second option. Now, if I want to boot to Vista, just pressing Esc will provide me with a prompt where I can enter a two-digit hex, and typing 81 will display my Vista partitions. Simple. No need to mess around with complicated boot configurations! Hmmm I am out of words!!! I was working on this Video Card fix for 4 str8 days and nothing would work, even all kext used to work in pre 10.5.5 version didn't do job. I even tried using different Video cards but most of them worked showing high resolution but without QE/CI. I had my hackintosh for almost 4 months when I installed it using Kalyway and suddenly it broke cause when I upgrade iTune I forgot to check out OS X upgrade and I was very upset. I used your steps to install OS X and it was up and running within 15 min on my Dell XPS 420 using second drive. At least I saved all my doc/pics/songs/movies of my Hackintosh to my McBook Pro but it almost filled up small drive of laptop. Use EFIStudio to build your device string. Select "Display" and then select your video card from the drop down list (i.e. nVidia GeForce 7200 GS - 128MB). Click Add Device. This will create your device Hex String. You can also do it manually by copying the Hex String to Clipboard and pasting it in the Boot.plist Editor. Make sure you delete any video kexts not part of the original OS X install (ex. natit.kext, NVinjext.kext, Nvkush.kext, etc.) in both the /System/Library/Extensions folder and the /Extra/Extensions folder. I just am about to get the retail DVD, wanted to ask you something. Using this method, can I safely install the combo updates from the Apple site? Yes. That's what this method is for... so you can install updates directly from Apple. No more patches needed. Sorry if I come across harsh. I'm just being devil's advocate. You will never get a message across by being vague. No, sorry man. That was exactly the problem. The folder Extra/Extensions is empty after installing the Chameleon version from the link on this page. Dragging the files from the boot CD before installing chameleon didn't have any effect. It came out empty. The real problem though is that the importance of the Extra folder and its content is not emphasised enough anywhere. It is absolutely CRUCIAL that the Extra folder contains IntelCPUPMDisabler.kext and dsmos.kext - at least those two, I'm not sure about the others. Anyhow, without this folder and these files OSX will not reboot and get stuck in a kernel panic. Also you won't be able to do the vanilla software update. It's not only about having the EFI emulater do the boot correctly but ESPECIALLY about these kext files. I think most tutorials are way too vague about this point. I don't know why your folder came out empty but I'm just telling it the way I did it, and I did the procedure twice on different partitions of my hard disk before publishing the tut. There is no way I can anticipate all problems that may happen to suggest different ways of doing it in case one method fails, that is why I have added outside links for further info. You can't come out with a comprehensive hackintosh tutorial in a blog that will have all the answers. That will require a very thick book. Still, there are those who benefit from short and simple tutorials. Anyway, thanks for your comments and I hope you are able to build your ideal hackintosh. I think the problem I had is with the chameleon install. Perhaps it's just buggy. It does let you boot off the HD but then everything becomes just like a 'usual' hackintosh, ie. you HAVE to install dsmos.kext, get rid of the famous 'Don't steal...' line in some hidden file, remove CPU power mgmt etc. Things you wouldn't need to do with a hacked distro since direct software update is a no-no anyway. The 10.5.5 straight off software update hosed my install although I followed your instructions to the T.
If you followed Step 4 to the T, you don't need to reinstall dsmos.kext after running Chameleon_DFE_for_Hard_disk.pkg. It should already be in the Extra-->Extensions folder. There is also no need to remove "Dont Steal Mac OS X.kext..." and "AppleIntelCPUPowerManagement.kext". The aim is to have something as close to a stock install as much as possible. The fewer you add or remove from what the Retail Mac OS X Leopard DVD has installed, the better; that means compatibility with Software Updates. No need for new patches. People, including noobs have different ways of understanding things, and finding solutions to problems. Some may take years, others in a few weeks or days. it sees my external usb drive and this drive works fine with TM on my other h-tosh kalyway build. the best info i could come up with is the problem is with the IOnetworkingfamily.kext.. i tried a few different ones. and no change, any ideas? almost perfect, but not quite! Good tutorial. I'd like to point out a couple of things though. Under "step 2" # 3. Simply hitting Enter didn't work for me with a purchased retail DVD. I had to type 90 and Enter to make it start. This is where it gets REALLY hairy for noobs and people with a non-IT background, or let's say a non-OSX background. "Simply hitting Enter didn't work... had to type 90..."
Hmm, that's strange. Since you booted from the DVD drive, it should give you the same drive by default (also displays the 2-digit hex you need in parenthesis). I'm sorry if this tutorial didn't work for you right off the bat. If there is one perfect hackintosh installation, I wouldn't have written all these different tutorials (see "Related Posts" below article). Readers can choose to use iATKOS, Kalyway, etc. but they can still run into problems because of different hardware. For me, if anyone wants to build a hackintosh, this method (Boot-132/Retail OS X DVD) is the best so far as I explained above. Thank you for your help! I will post my experience here as soon as I have one. Did you try this method yourself? Does this work on a Dell XPS 1530? I mean, do you think it will work? First off I am very new to this and have no idea how to create / modify kexts I have been able to get ipc osx86 on my system but have not found anything that fixes isues with my scrolling just folds over on itself instead of the screen scrolling. So I thought I would give the retail install a try and all i get is as soon as it reads original OSX to start install the screen flashes to white and reboots. any help would be great. do you have a tutorial for tiger os? Yes I have. Except for those who have tried it on a PC exactly as yours, nobody can guarantee though that it will work in your machine the way I described above. The only way to find out is to try, and if it doesn't work at first, then you have to try other stuff. You can read my other hackintosh posts or you can also head to InsanelyMac.com and do some research. There's a whole bunch of info out there and sometimes it just takes patience. It took me 2 weeks to get my first hackintosh and then I have tried different methods. Some work perfectly, others have minor problems. But with this Boot-132 method, everything works perfect just like my Mac! I´ve tried to install iPC OSX86 on eepc 1000HE (http://eeemeetsmac.webs.com/1000series.htm) on an external usb 2.0 drive. Installing and booting works, but then the system freezes. But I dont think, that it´s because of the external drive. hey i read your post, what kind of motherboard do you have? That is nice to know! One question, I have: It is possible to install Hackintosh to a portable USB 2.0 hard drive? I don't want to mess up my Windows installation! I haven't tried that, so I'm not sure. Try searching it in the forums and maybe someone has done it. thats awesome. lol. But won't you get in trouble or something?